With thanksgiving less than a week away we know everyone is planning out their thanksgiving dinner plans! We know we are. We thought we would share one of our favorite thanksgiving side dishes. Some people might call me weird for what I’m about to admit. Out of all the traditional Thanksgiving foods stuffing is by far my favorite on the dinner table! The flavor and the texture is just perfect! I am so excited for this years stuffing. 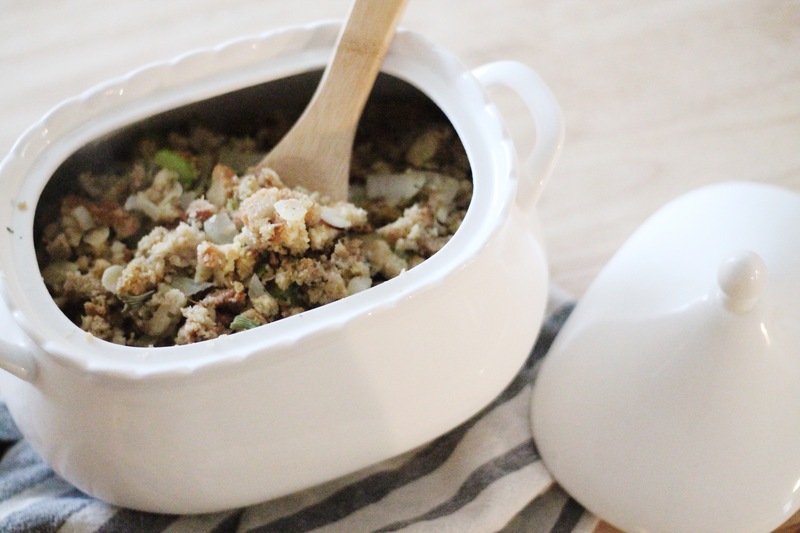 We thought we would share with you our favorite stuffing recipe. It is sooooo simple, anyone can try it! I love Stove Stop store bought stuffing and that’s what I’ve always loved. This recipe uses Stove Top stuffing as a base but we’ve added a few things for flavor and a crunch. What we do is chop up 1/2 onion and 1 large celery stock. You then heat the butter up that it calls for on the packaging. You then sauté the onion, celery, and about 1/4 cup of slivered almonds in the butter. Then add the 1 1/2 cups of water and bring that to a boil. Remove from heat and stir in the dried stuffing mix. Stir until moist and cover for 5 min. Fluff and it’s ready to serve Seriously the crunch from the celery, onion, and almonds is perfect! I love it and I can’t wait to have it again in less than a week! Hope you try it out this year and enjoy it! Heat a large pan with butter in it to medium heat. 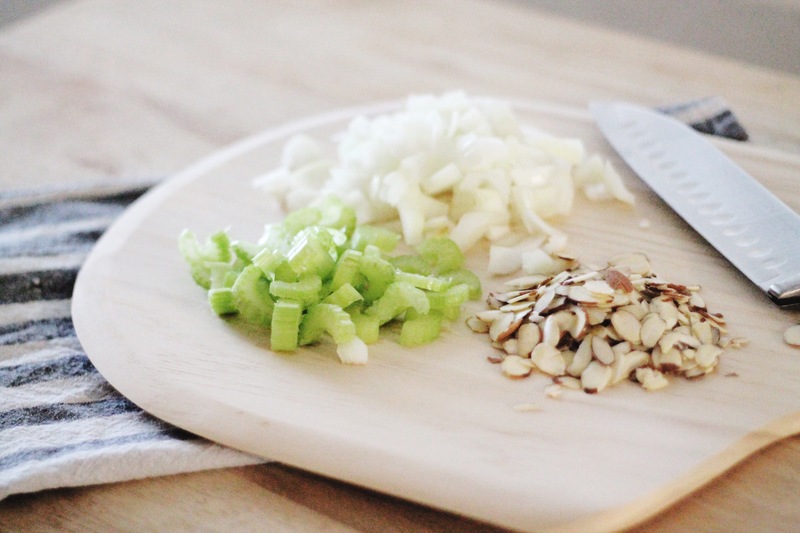 Sautee the onion, celery, and almonds for a few min. Stir in the Stove Top until moist and cover for five minutes. Fluff the stuffing and serve warm.